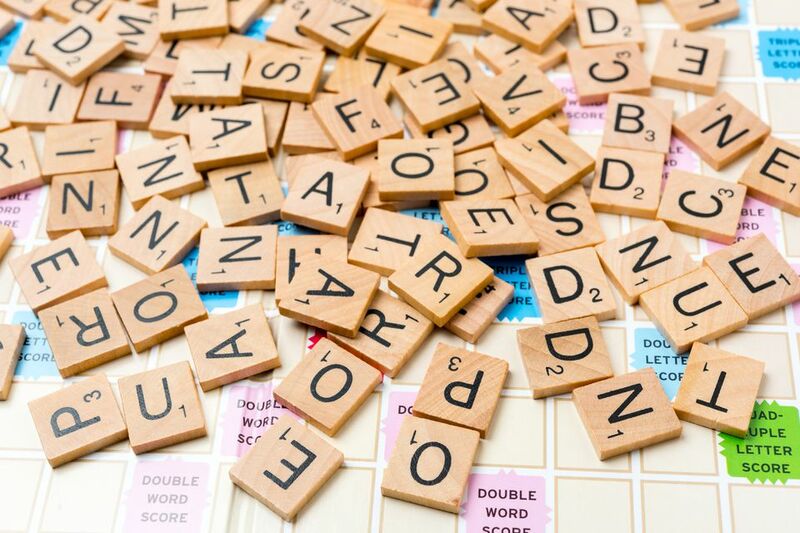 When your Scrabble rack is filled with vowels, knowing these vowel-heavy words (two letters and three letters long) can help turn your fortune around. To be included on this list, a two-letter or three-letter word had to be made up of all vowels. It's a short list, but it can come in handy, especially near the end of the game. These words are also excellent to know when you are making multiple words on a play, as you can play them in a corner or when forming a word on top of another word. Included is the definition in case your opponent challenges you on it, as well as further words you can build on the two-letter word. This can come in handy for future plays or inspire you in your current move. Extend words ending with AE: BLAE, BRAE, FRAE, SPAE, THAE, TWAE, ALGAE, ANSAE, ANTAE, AQUAE, AREAE, AURAE, COMAE, COXAE, CYMAE, MINAE, MORAE, NOVAE, PARAE, PSOAE, PUPAE, RUGAE, SETAE, STOAE, TELAE, TOGAE, TUBAE, ULNAE, URSAE, VENAE, VITAE, ZOEAE. There are much more as AE is a common ending for many Latin-derived words, especially in medicine and science. Extend words starting with AI (you can further lengthen many of these root words): AID, AIL, AIM, AIN, AIR, AIS, AIT, AIDE, AIRN, AIRT, AIRY, AIOLI, AIRTH, AISLE, AITCH, AIVER, AIDMAN, AIDMEN, AIGLET, AIGRET, AIKIDO, AIBLINS, AILERON, AINSELL. There are many compound words starting with AIR. You can add all of these words to air: man, men, bag, bus, way, boat, screw, head, hold, lift, line, mail, park, play, port, post, shed, ship, sick, time, ward, wave, etc. Extend words ending in AI: QUAI, UNAI, ASSAI, KORAI, LANAI, LITAI, PSOAI, SERAI, STOAI, TERAI, AGAPAI, BANZAI, BONSAI, CENTAI, HERMAI, MOIRAI, NILGAI, PETSAI, STELAI, ZAIKAI. Extend words ending with EAU: BATEAU, BUREAU, COTEAU, GATEAU, RESEAU, BANDEAU, BATTEAU, CHAPEAU, CHATEAU, COUTEAU, JAMBEAU, MANTEAU, MORCEAU, NOUVEAU, PLATEAU, RONDEAU, ROULEAU, TABLEAU, TONNEAU, TRUMEAU. You might also want to explore more Scrabble word lists and learn legal two-letter words and words with a Q but no U. These words are legal according to the Official Scrabble Players Dictionary, 4th Edition and verified with the Hasbro official Scrabble dictionary online in November 2016. They may not be legal if you use a different dictionary. The word list used in tournament games in the United States is known as the Official Tournament and Club Word List, created by the National Scrabble Association.